Description: Site for the discussion of pen and paper gaming with reviews, interviews, and forum discussions. 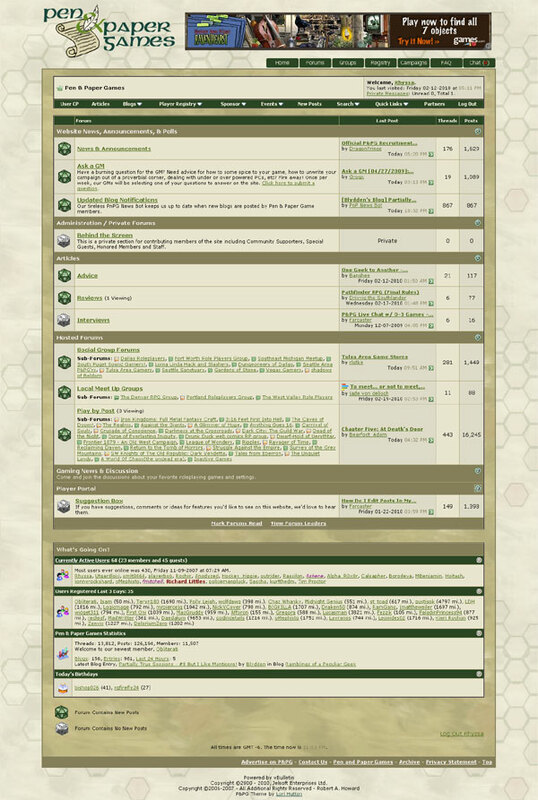 In March 2010 the site owner upgraded his forum to software version 4.x which required some additional tweaking of board icons and a new logo. Features: Custom graphics and CSS for vBulletin 3.8.x software. This entry was posted in Art and tagged Web Design on March 22, 2010 by Lori.